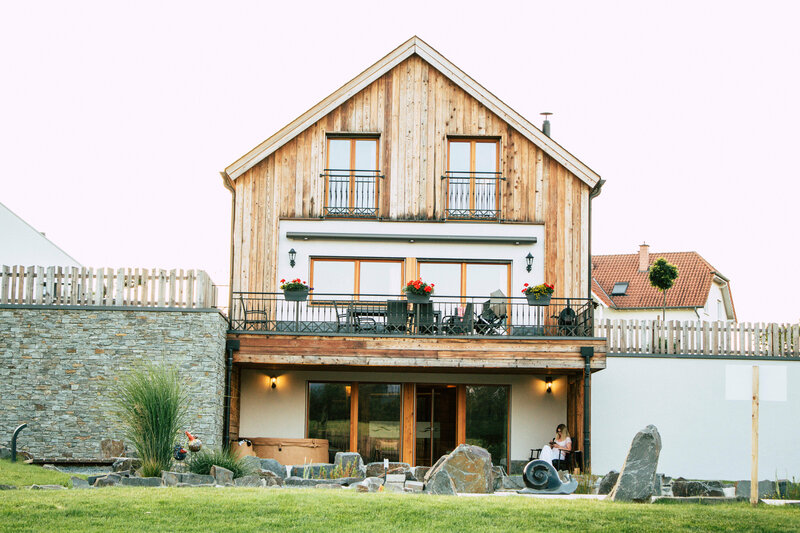 If you are searching for holiday house with spa and sauna in Luxembourg as a getaway from the chaotic city then Chalets Petry Spa & Relax would be in ideal wellness destination. Why Luxembourg? Because this smallest member of the EU community is famous for it’s breathtaking and diverse nature. It’s 480.000 friendly citizens speak French, German and Luxembourgian here. 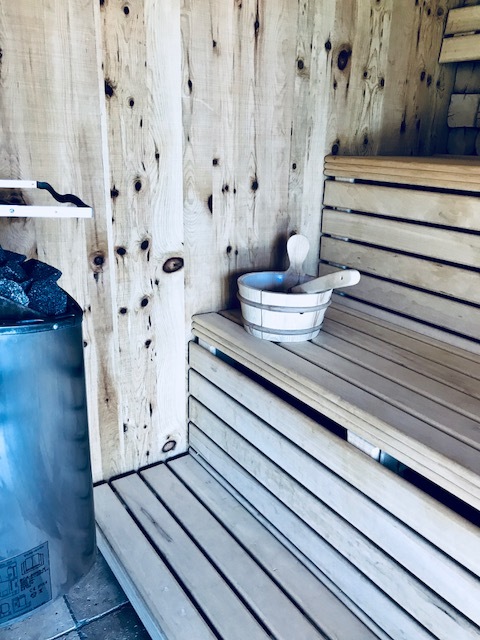 I was searching for a perfect holiday home and stumbled upon the website of Chalets Petry Spa & Relax featuring 6 brand new chalets with sauna and jacuzzi. 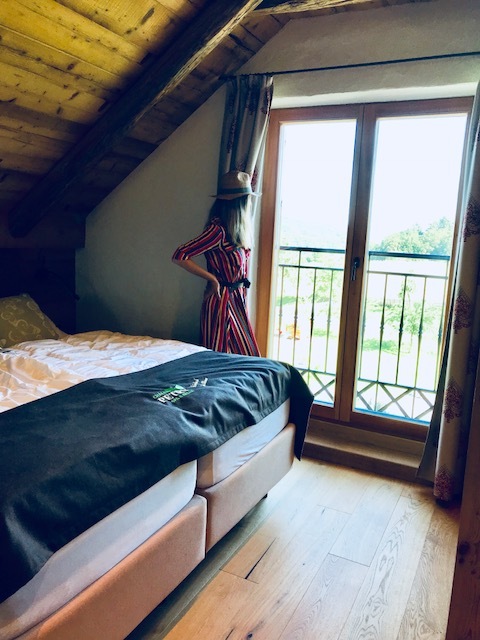 My intention was to rent one of the wellness chalets in Luxembourg for a family vacation with the baby so I didn’t hesitate long to book a holiday home online. The arrival date was at the end of June right on the brink of summer to show it’s best sides. 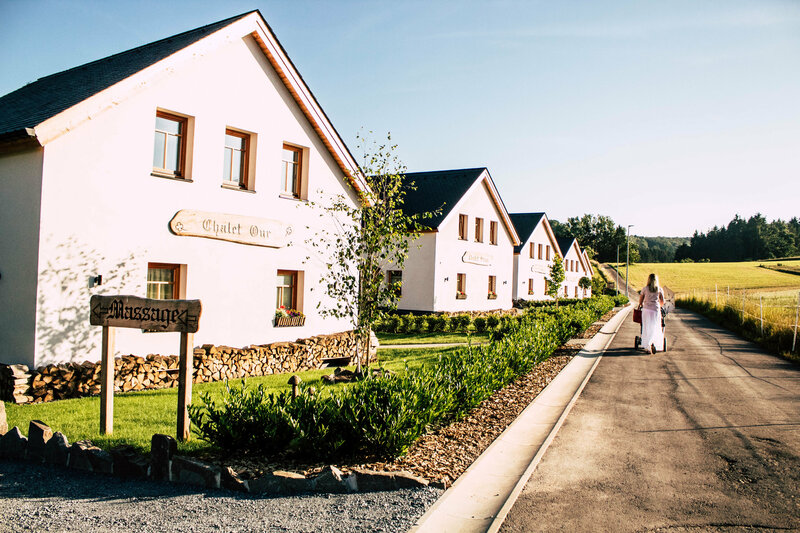 Wellness chalets in Luxembourg are located in beautiful Bettel. It’s very easy to find the way to the chalets especially if you are using a GPS. There is also a sign on the road with a logo which leads you directly to your destination. 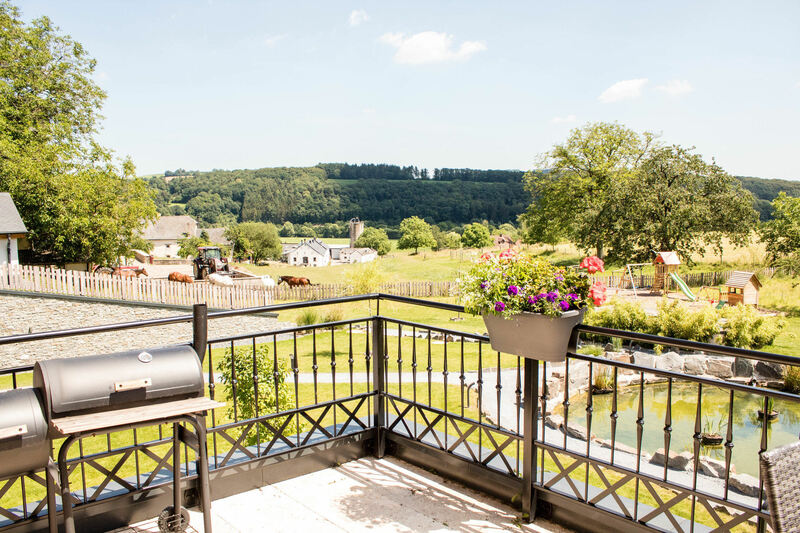 Our first impression when we arrived was simply “Wow!” The brand new houses standing neatly in a row next to each other, the picturesque view of a field with the forest and horses in a background. It seemed to be a perfect escape to get charged up with positive vibes and energy. It took us a bit of time to find the reception, which was at the beginning of the road near the chalets. The holiday homes are run by a lovely and helpful couple. Check-in processed very fast, we needed to give our credit card for authorization to pay the 300€ bond, just in case something gets broken in the house. Afterwards we got our keys and could finally park our car next to the house and see the inside of our new home for the next 2 nights. 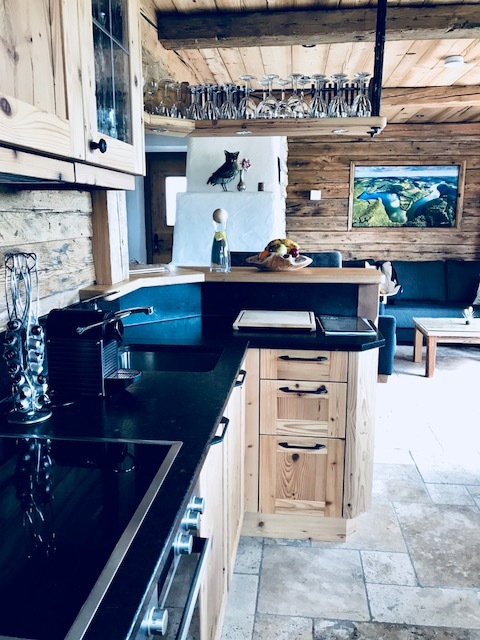 As soon as we opened the door of our chalet we were immersed into a cozy and homecoming atmosphere. The 3 level house was spacious, clean with decent fresh fragrance. We knew that all 6 houses are identical and provide a private balcony, a BBQ on the ground floor and a terrace with jacuzzi in the spa area. On the top floor there were 4 rooms with 2 double beds and a private modern bathrooms and 2 smaller single bed rooms. There was also a huge fancy bathroom on the ground floor, another double bedroom and nice fireplace in the living room. We didn’t use the fireplace but there was also free firewood provided. 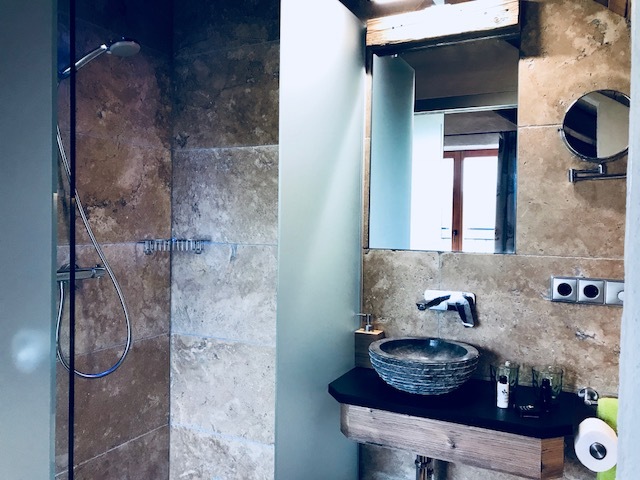 The whole house was fully equipped: a TV in every room, Wi-Fi, beddings, plenty of towels, shower gel and shampoo and even bathrobes with house shoes. Moreover the kitchen had everything you need and even dishes for babies and toddlers. A great bonus for parents is that a baby chair and baby bed are available. A basket of fresh fruits, Nespresso coffee and a variety of teas were also a great compliment. To conclude the only thing you need to bring with you are your clothes and a good mood. For an extra price food can also be arranged. Nevertheless there are supermarkets close by. Interesting to mention that we saw a couple at the chalet who came with their dog. This means that furry friends are also welcome! And if you have toddlers they can be occupied at the playground so the adults can enjoy the luxury spa. 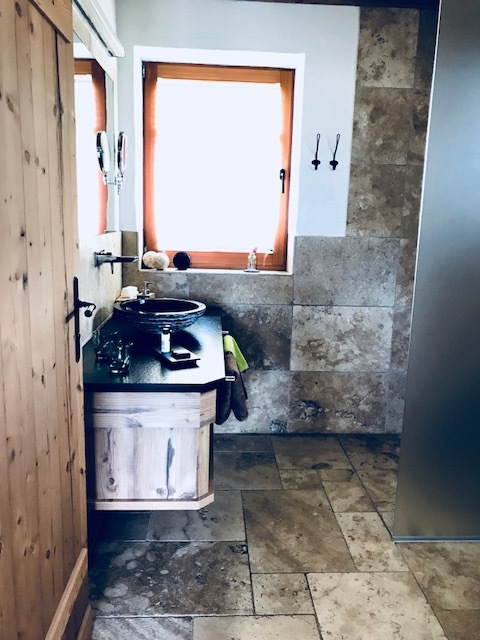 And last but not least the chalets get cleaned every day and you also receive new towels. If you don’t want to be bothered you can just let the owners know. The private spa & sauna area of the Chalets Petry needs some special attention. The entire bottom level offers the ultimate spa experience. There is a bathroom, sauna, infrared sauna, comfortable chairs and calm music to relax. Outside you can sit on the terrace, enjoy the view of the pond or just lay in the bubbling warm jacuzzi. For the full treatment it’s also possible to book a massage for an extra fee. We didn’t do it because the soothing, harmonious surroundings and the private spa alone helped us to unwind our minds and bodies. Holidays in Luxembourg: What to do? Unfortunately we didn’t have enough time to explore the surroundings because we were focused on the spa experience and enjoying family time with our baby. But there are plenty of things to do and that’s why I would suggest to stay more than just 2 nights to get maximum out of your holiday. You can go for a hike, a castle visit or even drive to Luxembourg city. For any information you can ask the owners of the chalets. They will happily provide you with brochures and a great directions so you will reach your destination! All in one we enjoyed our stay at the Petry’s modern holiday home and had a memorable experience. 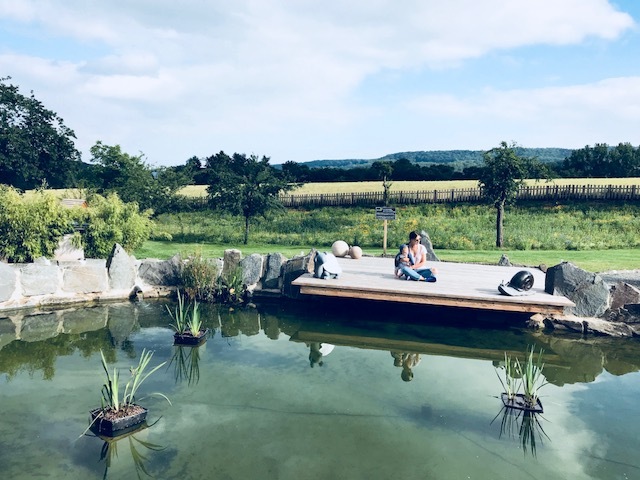 It’s definitely a perfect wellness and spa destination in Luxembourg. We could rejuvenate ourselves and restore our energy at the luxury spa and the tranquil surroundings of Luxembourg. The friendly owners and staff let us feel like home so we wished we could stay longer. 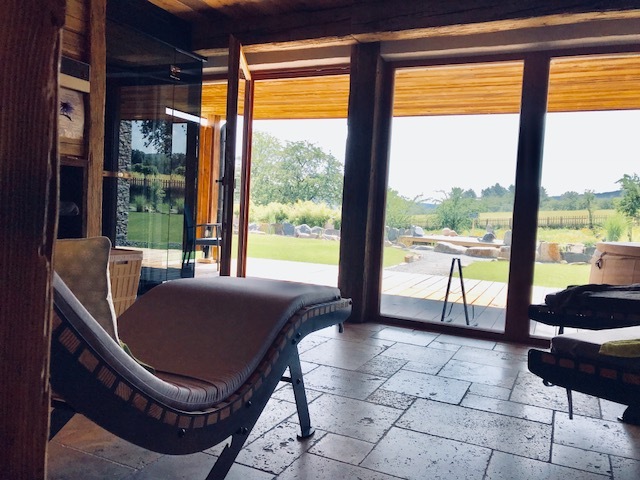 I will doubtlessly recommend everyone to visit these holiday homes as a family, friends or just a couple because it offers everything for an awesome getaway. 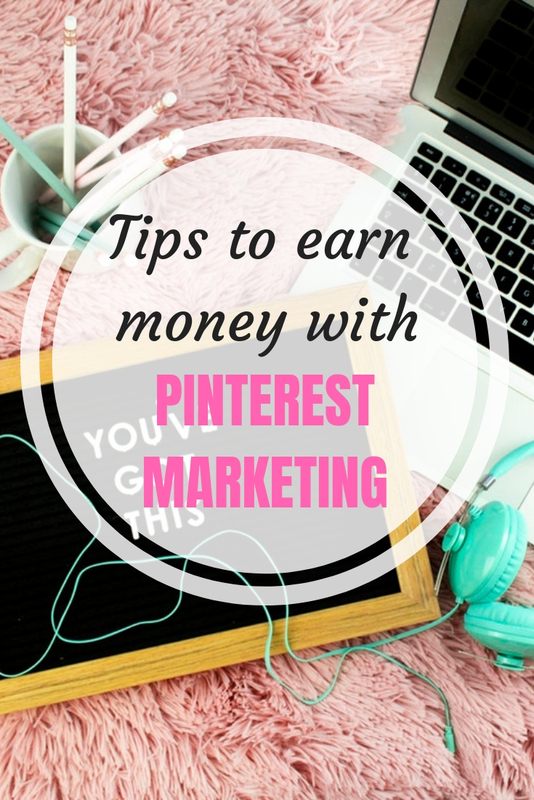 I haven’t written anything about prices because it varies depending on the season but you can easily find them here. 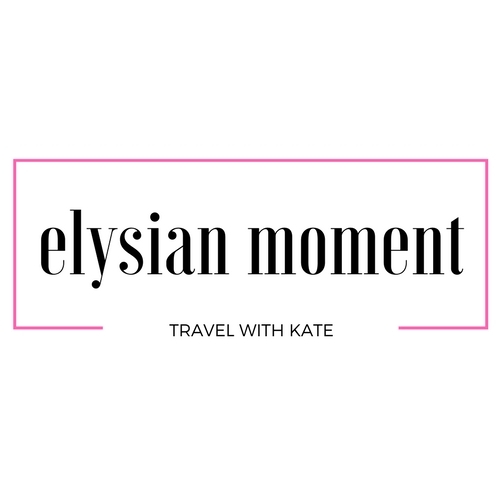 Check another family friendly trip in Europe here! So many choices. It’s hard to pick destinations. Definitely a more homey look than what you get in a fancy resort. It looks like a good place of lodging when you want to feel at home and experience peace and tranquility. Oh wow it looks so dreamy! Lovely photos and great review. I’ve never been but always wanted to go to Luxembourg, guess I’ll put this place on my bucket list! Luxembourg is on my list! I’ve heard fantastic things about it! This place you stayed is beautiful! I don’t know that we will ever be able to afford luxury but if we do I want to go there! Luxembourg is a really amazing place. Chalets look like a great place to discover. Its too big and feel of the home still comes out from every corner. Love to stay here with family. Such an amazing place to visit and explore with family. I would love to stay here. I love this idea!! Those chalets look so adorable. I’ve been to Luxembourg and would certainly go back. What a lovely place! This house looked amazing! Never knew that Luxembourg could be quite the get away. I will plan to visit on day! This looks like an amazing place to stay. 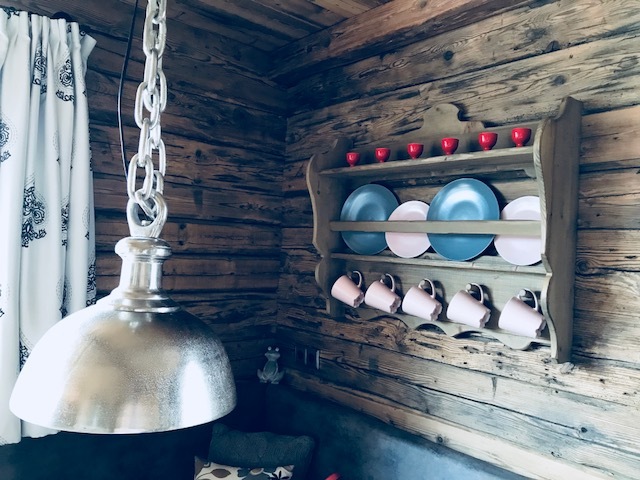 I love the rustic look to the chalet and how peaceful it is indeed! I hope you had the best time. What a pretty place to unwind. I love the look of it. It would be a perfect place to unwind. Wow, this holiday home looks so cozy, with great outdoors and interiors. Perfect place to unwind and have some peaceful time. This is just where I’d want to enjoy my family holiday at as well! I love how the outdoors are so calm bringing this nice countryside feeling. And that Spa lol!I don’t think I’d leave the place fast! This looks amazing! I would love a spa right about now! I am so tired and sleep deprived! Those all look pretty amazing. They just make you feel so relaxed and at peace in the world. And at the same time the amenities they offer are so amazing. I will have to go. It looks very relaxing and fitting for a family vacation, especially with all the amenities! 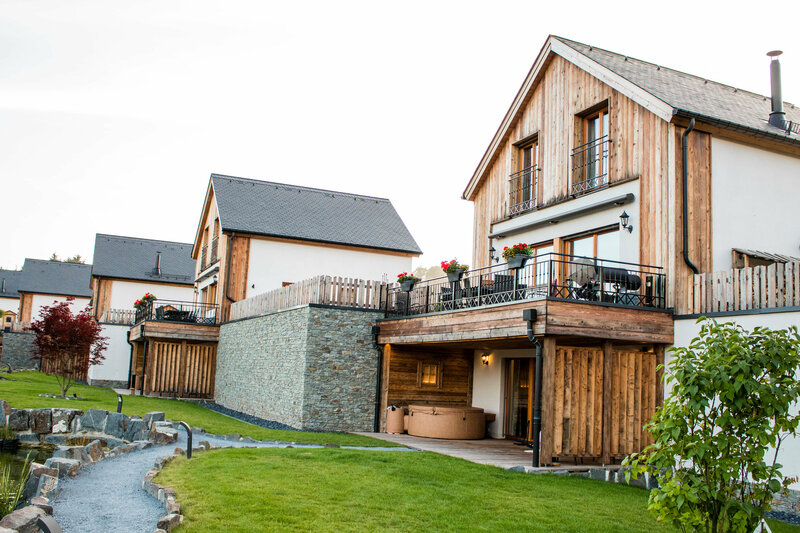 The chalets in Luxembourg are well known, but a bit on the pricey side for me! What a beautiful place to visit! I would definitely love the experience! Looks like my kind of retreat. And that sauna looks sweet. Thanks for extra tips on Luxembourg too! Looks an amazing place to unwind after a long period of working. I need to put this on my travel list. Thanks for sharing. Very nice spa. I love the pond and little stream in the back. That alone looks super peaceful! This is the kind of family vacation I like to take! The pictures inside the house are perfect, and it sounds like they have thought of everything thing. I have had food delivered on vacation and would do it again, depending on the price. It’s so nice after a long day of traveling to just sit back and relax instead of run to the store. This chalet is perfect for the holidays. It is perfect for us, as we travel as a family.